Germinated cereals are an example of the extraordinary ability of nature to produce energy. Germination (sprouting) is a natural process thanks to which an incredible flow of energy, necessary for the plant to grow, activates and enables the transformation of a nutrient: the seed, in a super nutrient: the sprout. Because sprouts are more nutritious: they contain high percentages (up to 100% more than the seed) of proteins, vitamins, mineral salts, and other beneficial substances such as fibre and essential fatty acids. 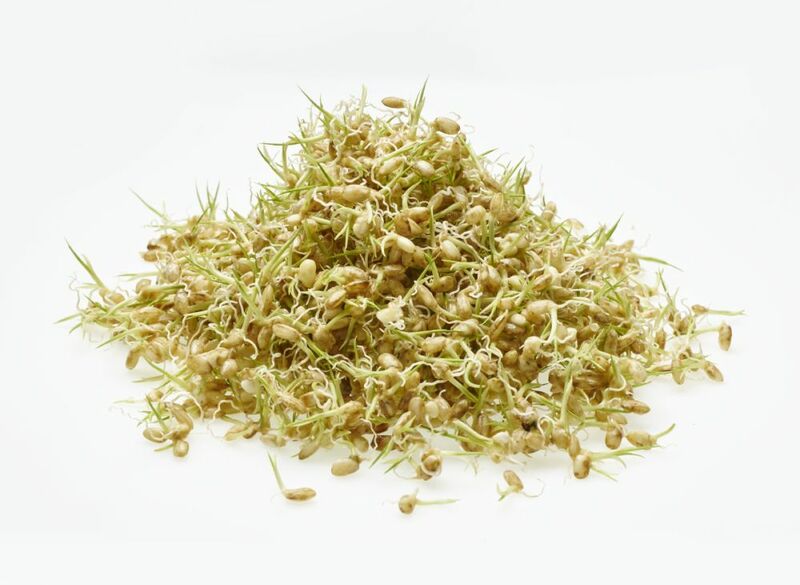 Because sprouts are more digestible: the proteins of the grain undergo a transformation, they are ‘pre-digested’ by the enzymes, breaking down into amino acids, which are easier and faster to digest and assimilate. Also, any anti-nutritional substances that may be present (e.g. phytates) significantly reduce. Because sprouts help the body to function properly: they contain living and vital metabolic enzymes that help our body stay healthy. Because sprouts are alkalising and counteract the acidification of the body. The germination process triggers the seed genetic program, which activates to give life to numerous biochemical reactions which, in turn, bring the nutrients to a state of better digestibility. Also, any anti-nutritional substances that may be present (e.g. phytates) significantly reduce, and vitamins and minerals multiply. With the germination, complex carbohydrates are transformed into simple sugars and the enzymatic elements activate. In this sense it can be said that the germinated products are pre-digested, because some dynamics typical of the digestive processes occur prior to food consumption. This is why they are particularly suitable for children, the elderly, and for debilitated bodies in general. It is precisely during the transformation of the reserve substances present in each seed that the numerous and complex biochemical transformations that give the sprout its wealth of substances occur: it becomes a true concentrate of nutrients that are easier to digest and assimilate by the body; and this is why germinated cereals and legumes are much more digestible than the seeds of origin.